Celebrated Iranian santur player who has toured the world with a multi-ethnic programme, performing Persian, Kurdish Greek, Armenian, Turkish and Ceilidh music. 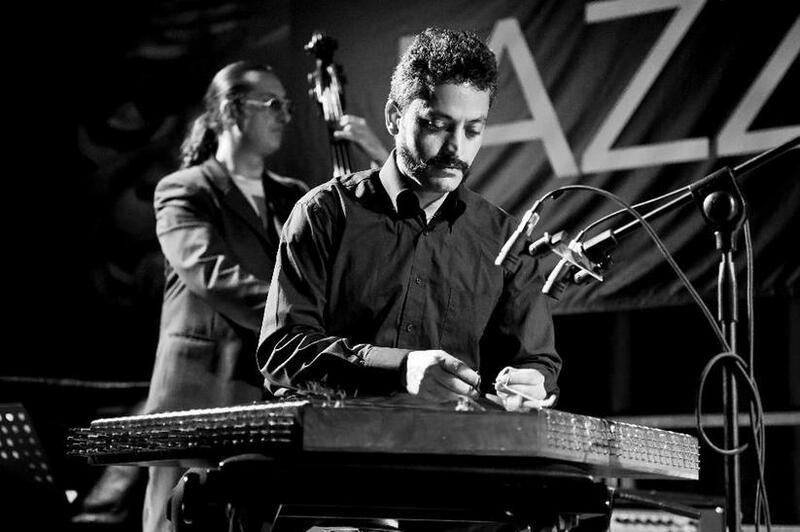 Born in Shiraz, Iran, Peyman Heydarian (پیمان حیدریان) is an award winning music scientist and santur performer. A computer scientist and musicologist, he adopted innovative tuning systems and performance techniques to play a multi-ethnic repertoire on Iranian santur (Hammered Dulcimer), and developed computer algorithms for the analysis of Persian musical signals. Peyman began learning music at the age of 5 and started teaching at the age of 8 and currently teaches santur performance and music technology courses at London universities. Peyman has established and presided over a number of musical societies and bands, including Music Association of Iranian Students and the National Iranian Student Orchestra. He is a graduate of Shiraz University, Tarbiat Modarres University and Queen Mary, University of London. He has toured the world with a multi-ethnic programme “The Voice of Santur”, performing Persian, Kurdish, Greek, Armenian, Turkish and Ceilidh (Scottish & Irish) music since 2010.